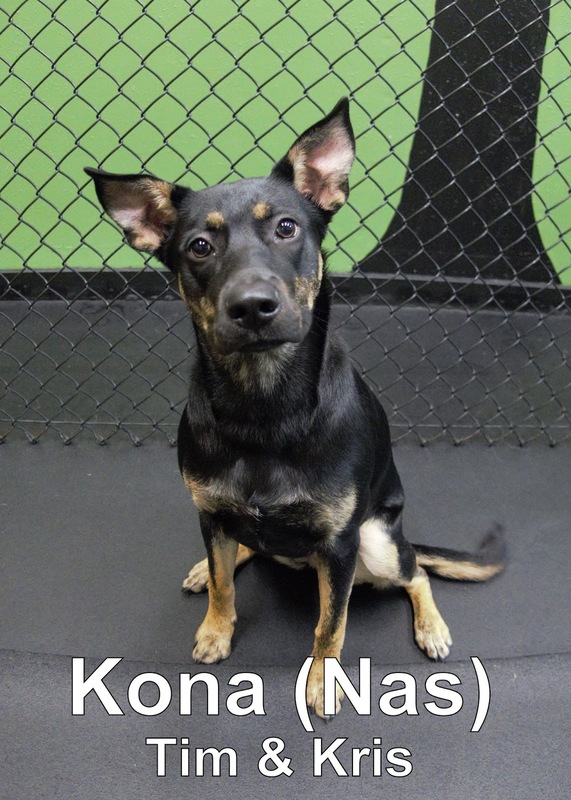 This morning we had the pleasure of meeting Kona. She is an eight-month-old, fifty-pound, Shepherd/Lab mix. Kona had a lot of fun playing with the dogs in our Medium Dog Program. Zoey, the Standard Poodle, is the first dog she met and the two of them played together all morning. Kona "spoke" good dog and had a great first day. She is welcome back anytime. Good job today, Kona! We look forward to seeing her again soon.